Tibetean Buddhist chants were first performed in front of the western world audience after Dalai Lama escaped to India following the Chinese invasion of Tibet. One of His Holiness Dalai Lama’s followers, Geshe Ngawang Tashi Bapu has mastered the unique multi-phonic chanting style and popularised it’s mysticism in the western world, to become the first monk and one of the very few Indians to be nominated for the prestigious Grammy awards. Thought to arise only from the throat of a person who has realized selfless wisdom, throat or multi-phonic chanting is defined as multiple tones emanating from a single larynx. He is one of the very few practitioners of this unique chant in the country. Following are excerpts from an interview I had with Geshe Ngawang Tashi Bapu or Lama Tashi, as he is fondly called. Aiyushman: How is multi-phronic chanting different from other forms of chanting? Lama Tashi: Multi-phonic chanting is in vogue in Mongolia though it is prevalent here as well. It is characterised by a deep, vibrating voice, which is produced continuously for 8-9 minutes at a stretch. The Tibetan monks believe, that in the creation of the ‘One Voice Chord’, the monks do not ‘make’ the sound. Rather, they become a vehicle through which the sacred sound may manifest. This is a basic principle contained in the Tibetan Buddhist teachings of sacred sound. Aiyushman: You have performed the chant all over the world with many celebrities, that too in places like Sydney Opera Hall and Carnegie House. How did it start? Lama Tashi: In 1991, I was chosen as one of the monks to travel the world on the Sacred Music and Dance tour of 1991-1992. For 11 months, I traveled throughout the United States, Mexico and Canada. After that, we performed our chants in more than 100 cities all over Europe. In April 1999, I performed for His Holiness, the Dalai Lama at Curitiba in Brazil, alongside renowned Brazilian artists like Gilberto Gil. Later the same year, I led the multi-phonic chant before His Holiness, the Dalai Lama at the World Festival of Sacred Music at the Hollywood Bowl in Pasadena, California and at Central Park in New York City. Aiyushman: Tell me about your Grammy nomination. Lama Tashi: After coming back from our 1992 tour, we started recording the Tibetan chanting albums. 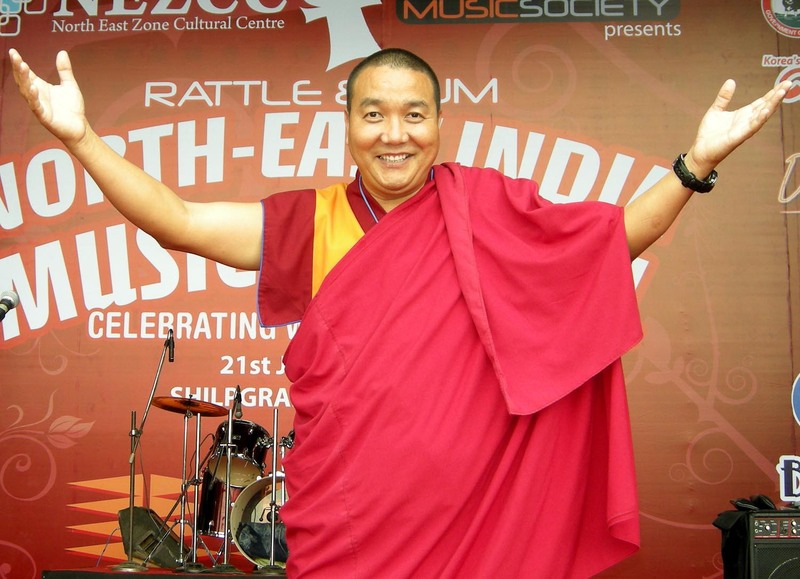 One of them, Tibetan Master Chants, was nominated for the 2005 Grammy awards in the Best World Music category. I was also nominated in the Best Traditional World Music category at the 2006 Grammy Awards. Vibrating my vocal chords and producing multiple overtones with deep sounds while chanting the mantras is the specialty of the album. Aiyushman: Did the Grammy nomination come as a surprise? Lama Tashi: Never in my “wildest dreams” did I expect to be in the running for the coveted prize. I only wanted to spread peace and love in the world through the traditional Buddhist chants. I have dedicated my life to Buddhism and the Grammy nomination is indeed recognition of our beautiful religious hymns that symbolize peace and love. Aiyushman: Any fond remembrance from your tours abroad? Lama Tashi: People could not believe how I could take our so many voices. They even made me undergo a medical examination where doctors inserted various instruments inside my throat. But once it was settled, some journalists and musicians in America asked me if I was a rocker. I said I want people to listen to our hymns and get peace of mind. After your travels, you had started a lot of changes in the monasteries? Lama Tashi: Exposure has a lot to offer. I began studying basic English in the monastery but it was through my travels and performances that I became fluent in the language. I remember carrying two dictionaries with me at all times and would constantly engage people in conversation in order to better my language skills. It’s only when you travel that you realize the positive aspects of other cultures and try to introduce them in your own traditional cultures. Continuing with my feature on the music industry of all the Northeastern States, this time around the spotlight is on Arunachal Pradesh – the eastern most province of the country, known for its mountainous terrain and scenic beauty. While the music scene is still at a very nascent stage here, the State has produced a couple of phenomenal musicians in recent years. Some of the most popular artistes of the State are Tage Diibo, Lama Tashi, Damang Loram, Getem Apang, Omak Tamut, The Vinyl Records, Alien Gods, Olik Boko, Cemetery Clan, Carnal Sin, Daniel boko’s reggae band, amongst others. Bollywood remains the biggest draw for the people here and Bollywood artistes still can draw huge crowds, something which is not possible for any other independent artiste or practitioner of any other genre. 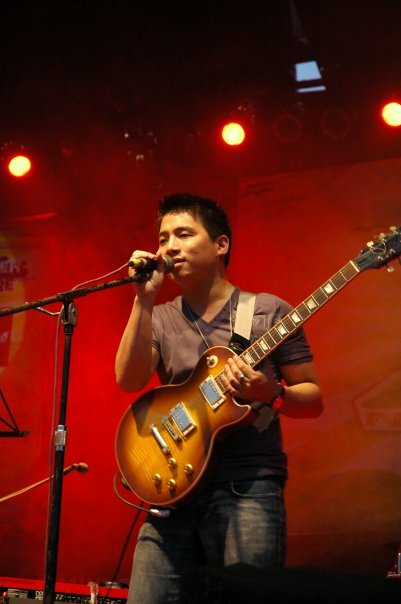 However, folk music is the biggest draw in Arunachal Pradesh. Not surprising, because the State has 26 major tribes and more than 116 smaller tribes. Each of these tribes again have numerous other sub-tribes and clans, which all have their own dialect! Hindi is the most popular language here as it binds all the people together. However, given the diverse nature of the people and the traditional tonal disparities in the language, Hindi has also got a makeover in this part of the country, to result in what many dub as “Arunachali Hindi”. An index of the music industry of any region is the number of music stores and channels catering to the demands of the people. In Arunachal, there are just two music stores – the Bass and Drums Music store in Itanagar and another smaller one in Tawang. The only music label in the State is Octave. With regards to satellite channels, they are mostly based outside the State. Though a number of local cable channels are also operated, they are active at Ziro and Along. They air programmes in local dialects, especially in the major dialects. Performance-wise, there are two major venues in the capital city of Itanagar – the Indira Gandhi park and the Rajiv Gandhi stadium. There is a general ground & community halls in all the districts of the State. While outdoor performances, mostly traditional and bollywood are held in the ground, small scale programmes are organized in the community halls. All in all, the music industry can be said to be in a very nascent stage in Arunchal Pradesh. While the audience has no particular taste for music, all genres enjoy the same popularity as the same crowd goes for all the show. As such, the audience is very fixed and limited. 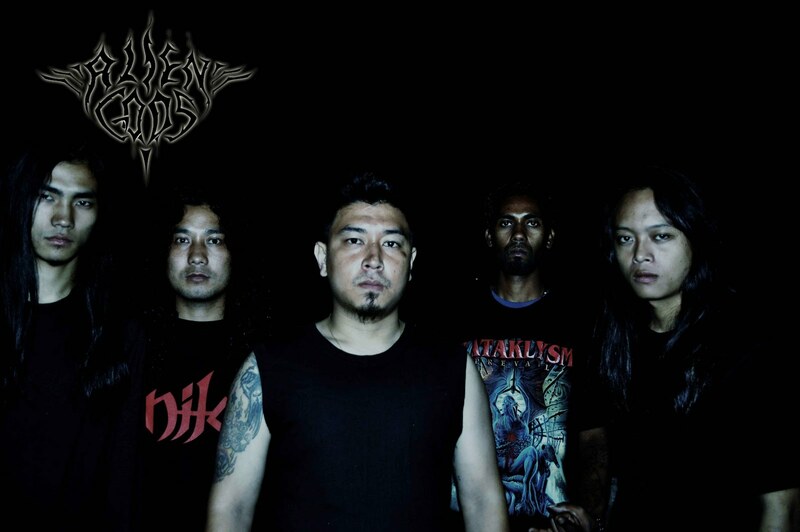 Among the new independent artistes, Alien gods, cemetery clan have a huge fan base. Alien Gods, incidentally, is the first metal outfit of the State. A couple of private parties are also working hard to develop the sense of appreciation for music amongst the people. Phoeniz Event, led by Bobby Hano and Getem Apang, is trying to develop the taste for new genres among the people. They organize small scale concerts for blues, jazz and other musical genres in the lawn of Hotel Ashok which has a capacity of around 200-300 people.